Oil on canvas. 74 X 52 cm. Inv. No 2768 Signed and dated lower left: /. 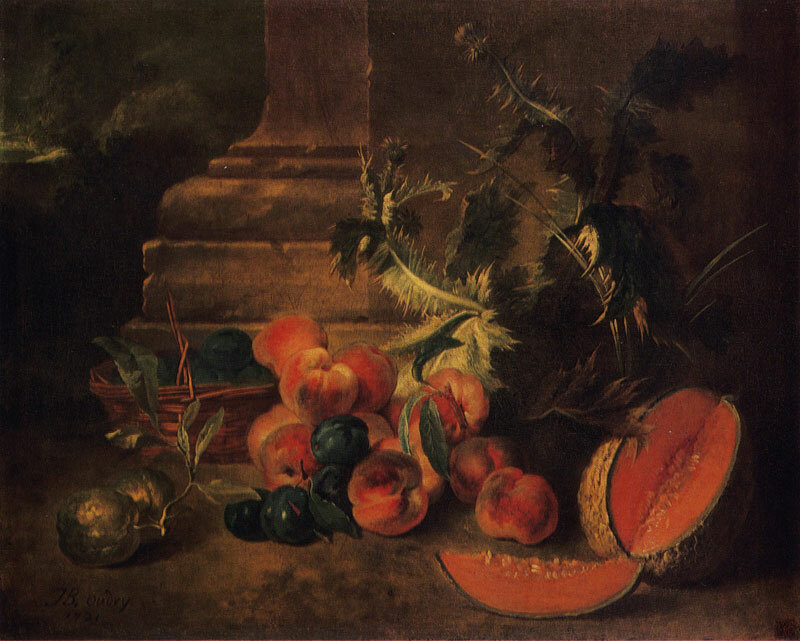 B. Oudry 1721 It is a pendant to the picture Vase and Fruit (The Hermitage, Inv. No 1121). Provenance: 1763/74—1930 The Hermitage, St Petersburg— Leningrad; since 1930 The Pushkin Museum of Fine Arts, Moscow Exhibition: 1955 Moscow, Cat., p. 59 Bibliography: Кат. ГМИИ 1948, p. 79; Кат. ГМИИ 1957, p. 139; Кат. ГМИИ 1961, p. 184; Сомов 1900, No 1816; Бенуа 1912, p. 310; J. Locquin, Catalogue raisonne de I'ceuvre de J.-B. Oudry, Paris, 1912, No 41; Кат. Эрмитажа 1916, No 1816; Dimier 1928— 30, vol. 2, p. 170, No 270; Reau 1929, No 260; E. Нот-гафт, "Жан-Батист Удри и его произведения", ТГЭ, vol. 2, 1941, р. 172, ill.